Want to make money even when you’re sleeping in? Want to earn cash when you’re on the beach or at the movies? 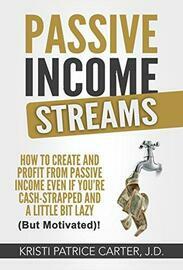 In Passive Income Streams: How to Create and Profit from Passive Income Even If You’re Cash-Strapped and a Little Bit Lazy (But Motivated)!, prosperity guru Kristi Patrice Carter introduces approachable ways to make more money—even when you’re not actively working. 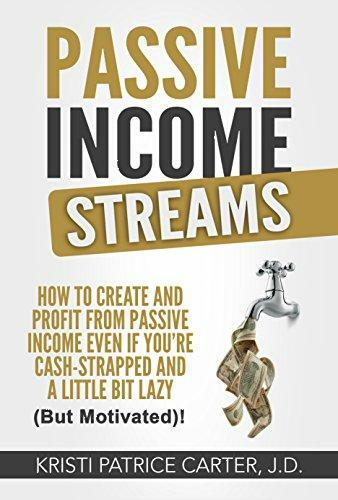 By mastering the method of passive income streams, you can break free from traditional work models, avoid working long hours, and still earn a living.